I had been weightlifting for seven years and I wasn’t just fat–I was weak. I weighed just over 200 pounds and I struggled to bench press more than 245 pounds…on the Smith Machine. I could half-squat about same for a few reps. I didn’t deadlift or military press frequently enough to even know my numbers. My workouts were the garden variety crap languishing in bodybuilding magazines. You know…tons of isolation exercises…tons of sets…tons of reps…and very little progress. And then I found strength training. I completely changed my workout routines and it completely changed my physique. As you can imagine, I never looked back. Through my books and blogs, I’ve since helped hundreds of thousands of people start their own strength training journeys and personal transformations. Well, in this article, I want to help you do the same. We’re going to dive deep into strength training and learn how it works, how it differs from traditional bodybuilding training, and how to run the most popular strength training routines. So if you’re ready to regularly hit personal bests and just generally feel like a superhero…and have a ton of fun while you’re at it…let’s get started. Girls like muscle and I like girls, so I needed muscle. So began my quest for building bigger muscles, and I’ve since made a lot of mistakes and learned a lot of lessons. One of the biggest mistakes I made was neglecting strength training. I would do workouts like this every day, grinding away for 1.5 to 2 hours, completely unaware that high-rep, “feel the burn” training should never be a natural weightlifter’s focus. Instead, I should have been spending a lot less time in the gym, lifting a lot heavier weights, and doing a lot fewer exercises. You see, like many people, I used to think that building strength didn’t necessarily relate to building muscle. That is, I thought strength training was for getting strong but not necessarily big. Progressive tension overload is the most important of the three. This damage necessitates repair, and if the body is provided with proper nutrition and rest, it will grow the muscle fibers to better deal with future stimuli. Cellular fatigue refers to a host of intra- and extracellular changes that occur when muscle fibers contract repeatedly. When you push muscle fibers to their metabolic limits through the repetition of actions to muscular failure, you’re causing high amounts of cellular fatigue. Heavy, low-rep weightlifting primarily builds strength and results in high amounts of muscle damage. Lighter, higher-rep weightlifting primarily increases muscle endurance and results in less muscle damage. Few people will argue that high-rep, “pump” training builds strength equally as well as low-rep, high-weight training. Just look at all the best strength training programs out there: they involve a lot of heavy weightlifting. What surprises many people, though–including me years ago–is that heavy strength training is also very effective for building muscle. 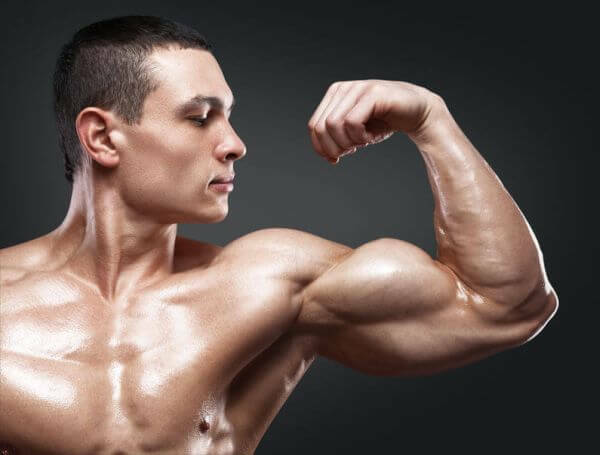 In fact, if you want to achieve your genetic potential for muscle growth, you’re going to have to do more and more strength training and less and less “bodybuilding” workouts. Chemically enhanced muscles grow rapidly but don’t help tendons and ligaments keep up, so weights that feel manageable can simply be too much for connective tissues to handle. This is a reason why steroid users often screw up their joints. 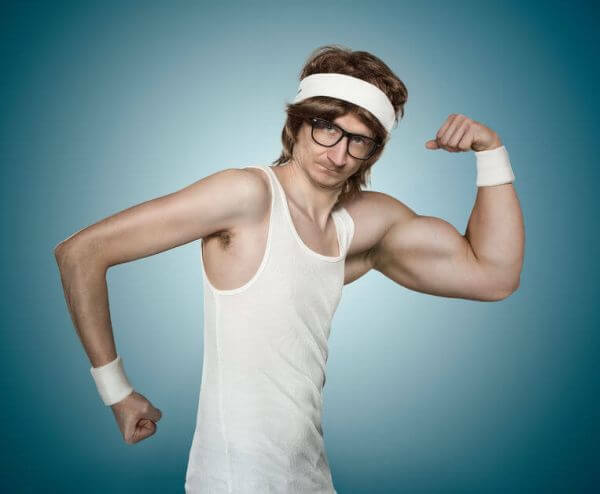 Anyway, when us “chemically challenged” folk do the same types of traditional bodybuilding routines–high-volume, high-rep training, with all the fancy drop sets, supersets, and the like–we just don’t see anywhere near the gains. We’re inducing large amounts of cellular fatigue but, as you know, this is a weaker stimulus for growth than progressive overload. And this means very slow results. To make matters worse, many bodybuilding routines involve more work with isolation exercises than compound movements. 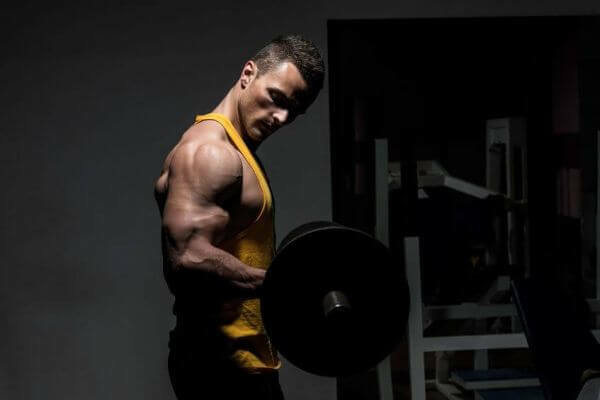 This further reduces the amount of muscle you can build because the sheer amount of muscle fibers activated in a workout greatly affects overall muscle growth. That’s the bottom line, really. That isn’t to say that high-rep training has no place in a natural weightlifter’s routine, though. It does…but it’s most relevant to experienced weightlifters and it never fully replaces the heavy lifting. I talk about this more here. If you’re used to high-rep, high-volume bodybuilding workouts, the transition to strength training is going to be a bit jarring at first. You’re going to press, pull, and squat some intimidatingly heavy weights. Depending on the program you follow, you’re probably going to train certain body parts more or less frequently. Your workouts may, on the whole, feel less draining. You’re going to be resting a lot more in between sets. Your workouts are probably going to be shorter. Don’t be surprised if, soon after starting your strength training program, you find yourself wanting to do morein your workouts…taking shorter rest breaks…and increasing training and/or exercise frequency. Well, don’t make these newbie mistakes. What you don’t realize when you start strength training is how quickly systemic fatigue can build up if you try to do too much heavy training too fast. That leads to overtraining, which can derail everything. Remember…your number one goal in your strength training workouts is to get stronger, not maximize caloric burn or muscle pump or sweatiness. This simple shift in mindset is going to help you tremendously. Before you’ll be able to actually do any of the programs we’re going to discuss, you’re going to need to know a bit about how much weight you can actually lift on various exercises (your 5 rep maxes in particular). So let’s knock that out now and then check out the programs. If you’re going to do a strength training program, you’re going to need to get comfortable working with various numbers and percentages. As you’ll see, most programs revolve around your 5-rep max, or the amount of weight that you can get 5 clean reps with (and not more or less). People that have spent a good amount of time pushing, pulling, and squatting heavy weights will know their numbers pretty accurately, but if you’re new to all this, just figuring out how much weight to use in your workouts can be frustrating. Well, fear not, I have a calculator for you that makes it a snap (and yep, it will work for all the exercises you will be doing in your strength training programs). Your estimated one-rep max (how much you can lift for one rep). The weights at various percentages of that one-rep max. Approximately how much weight you should be able to use for various rep targets. For example, if I can deadlift 415 for 4 reps, that puts my one rep max at ~453 pounds and my 3 rep max at 430, my 5 rep max at 390, my 8 rep max at 353, and so forth. Again, the number you need most for the following programs is your 5-rep max. If you’re new to strength training or heavy barbell training in general, I recommend you start with one of the following programs. Starting Strength is one of the most popular weightlifting programs out there, and for good reason. If you’re serious about weightlifting, then you want to read Starting Strength. Even if you don’t plan on following the program. 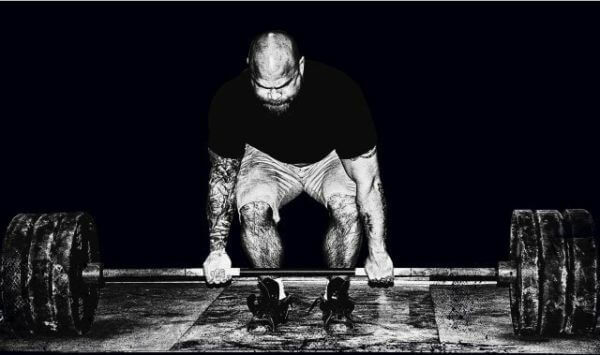 The reason Starting Strength is so attractive to so many people–and especially to people new to weightlifting–is it’s simple, effective, and suited to a wide variety of goals. If you want to get strong…Starting Strength can help. If you want to add muscle…Starting Strength can do that too. If you want to improve athleticism…Starting Strength will get the job done. Starting Strength workouts are very simple. They rely on a handful of compound exercises and the focus of the program is achieving the biggest possible lifts by the end of it. Before we get into the routine, though, I highly recommend you check out the book to learn proper form on the exercises you will be doing. They aren’t inherently dangerous but if you don’t know what you’re doing, you can get hurt. You alternate between two workouts. Unlike “muscle confusion” workout routines, Starting Strength has you do just two workouts. No, I’m not forgetting anything. There are only four exercises for your first Starting Strength workouts and only six in the whole program. You do 3 workouts per week. You start each exercise in your workouts workout with warm-up sets. Warm-up sets get your muscles and connective tissues ready for the heavy lifting ahead. How much weight to use for your heavy sets. Your heavy sets should be done with an amount of weight that allows you to get 5 reps with good form (and not more or less). If you’re new to heavy weightlifting, it’s a good idea to start with a weight slightly lower than your calculated 5-rep max and progress upward as you get comfortable. Rest times in between sets. Rest 2 to 5 minutes in between sets. When you go to do your next set, you shouldn’t be breathing heavy or feel fatigued from your previous one. When and how to add weight to the bar. If you successfully perform your 3 sets of 5 reps in a workout, you add 5 pounds to the weight the next time you that exercise. What to do if you fail to get your reps. If you’re not able to get your sets–if you get, let’s say, 5, 4, and 3 reps–then you stick with that current weight until you can get 5,5,5. That’s enough to get you going on the program but if you’re going to stick with it, make sure you read the book. In 1976, a book was released that changed strength training sports forever. Accordingly, Starr’s 5 x 5 program shared in the book focused on three lifts: the bench press, squat, and power clean. With each exercise in each workout, your sets start light and get progressively heavier and the amount of weight you lift varies from day to day. Set 1 is 35% of your 5-rep-max weight (the amount of weight that allows you to get 5 clean reps but no more). Set 2 is 70% of your 5-rep-max weight. Set 3 is 80% of your 5-rep-max weight. Set 4 is 90% of your 5-rep-max weight. Set 5 is 100% of your 5-rep-max weight. 10-rep set is 80% of your 5-rep-max weight. Set 1 is 25% of your 5-rep-max weight. Set 2 is 50% of your 5-rep-max weight. Set 3 is 55% of your 5-rep-max weight. Set 4 is 65% of your 5-rep-max weight. Set 5 is 70% of your 5-rep-max weight. 10-rep set is 55% of your 5-rep-max weight. Set 1 is 30% of your 5-rep-max weight. Set 2 is 55% of your 5-rep-max weight. Set 3 is 65% of your 5-rep-max weight. Set 4 is 70% of your 5-rep-max weight. Set 5 is 80% of your 5-rep-max weight. 10-rep set is 65% of your 5-rep-max weight. 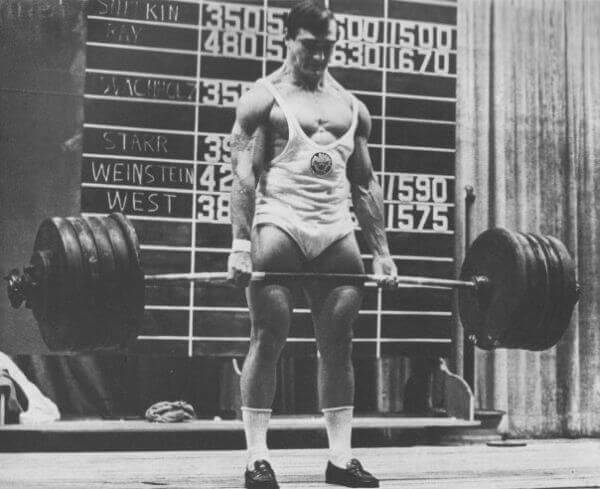 Starr recommended that you increase your 5-rep-maxes on each exercise by 2.5% each week. To make it work for actual bar loading, round numbers up or down by 1 pound (or less). Technically 35% of 225 is 79 pounds but loading 79 pounds on the bar isn’t feasible–you’re going to use 80. And the rest of the exercises are laid out in the same fashion. You now increase the previous week’s 5-rep-max weights by 2.5%. Sticking with just the bench press for an example, your previous 5 rep max of 225 pounds is now raised to 230. Due to the small increase in your 5-rep-max weight, sets 1 and 2 stay the same, and in this case, set 3 is rounded up from 184 to 185 and set 4 is rounded down to 205 from 207. In week 3, you increase your new 5 rep maxes by 2.5%, and so forth. Like Starting Strength, rest 2 to 5 minutes in between sets. If you fail to get your reps on a given exercise, Starr recommends resetting or deloading. Resetting consists of lowering the weights to what you were doing 4 weeks ago. Stronglifts 5 x 5 is a variation of Starr’s original routine that was created by…a dude…named Mehdi. 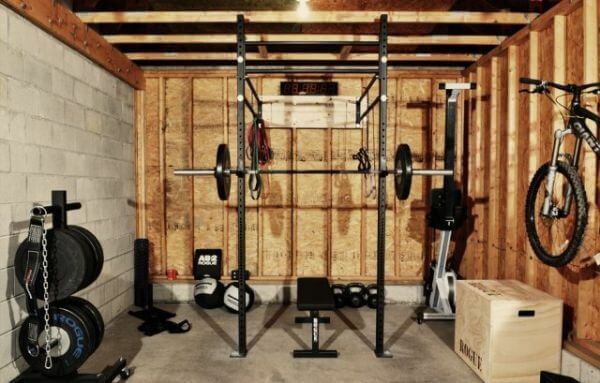 It’s simple, effective, and doesn’t require you spend large amounts of time in the gym. Like Starting Strength, Stronglifts consists of two workouts that you alternate between. You train three times per week, with at least one day of rest in between workouts. Most people work out on Mondays, Wednesdays, and Fridays, but so long as you give your body one day in between each workout, you can change the schedule (Tues, Thurs, Saturday or Sunday, for example). You alternate between these workouts in the same way as Starting Strength. Week 1 is A, B, A, week 2 is B, A, B, week 3 is the same as week 1, week 4 is the same as week 2, and so forth. You rest 2 to 5 minutes in between each set. Mehdi recommends that you deload if you stall. If you’d like to know more, you can dive into the details here. If you’ve been following a strength training program or have been doing heavy barbell training (like one of my programs) for at least a year, then you’ll do best on one of the following programs. It was developed kind of accidentally by the esteemed Olympic weightlifting coach Glenn Pendlay , and it’s more of a training template than a fixed routine. Like all the strength training programs we’ve covered so far, the Texas Method involves training three times per week. Mondays are for volume, Wednesdays are light, and Fridays are very heavy (where you go for PRs). Now, as you can see, the Volume and Light Days are pretty straightforward. Before each exercise, you warm up (which we’ll talk more about in a minute) and then do your prescribed sets. Fridays are personal record (PR) days–days where you dig deep to lift highest-ever weights. Specifically, you start each exercise with a warmup routine and then do your one 5-rep PR set, which should be 5 to 10 pounds heavier than your previous 5 rep max. For example, if your predicted 5 rep max for the squat is 275, then on Friday you will go for 5 reps with 280 or 285 pounds. The goal with the Texas Method isn’t workout-to-workout progress–it’s weekly progress. This gives you a new 5 rep max with which you calculate your next week’s Monday and Wednesday workouts, and Friday is PR day again. When you’re increasing load, you want to keep your volume the same. When you squat 5 sets of 5 reps with 90% of your 5-rep max, that’s 25 reps. You could increase this load by squatting 8 sets of 3 reps (24 reps) with 95%. As you can tell, there are quite a few moving parts to the Texas Method–far too many to dive into in this primer. If you give it a go and like it, or like the structure and concepts but want to learn more before implementing it, read Practical Programming for Strength Training by Mark Rippetoe. Jim Wender’s “5/3/1” program is one of the most popular strength programs out there because it’s easy to understand, it gets results, it doesn’t require any special equipment, and the workouts are relatively short. You do 3 to 4 workouts per week. Each “mesocycle” (a fancy term for a training phase that lasts 2 to 6 weeks) of 5/3/1 consists of four waves. That is, you will do each of the workouts 4 times to complete a mesocycle, at which point you start over again from the beginning. Note that 5/3/1 works with a percentage of 90% of your one-rep max, not a percentage of your 5-rep max like other strength programs. Yup, each workout entails just warming up and doing 3 heavy sets. This low-volume approach is one of the common critiques of the 5/3/1 program but there’s no denying that it works. It just isn’t for everyone. If you have years of strength training under your belt, 5/3/1 probably isn’t the right choice for you–but you already know that. If you’re new to strength training, though, you can do great with this simple approach. This is especially true if you include enough assistance work in addition to the core lifts. This allows you to create a hybrid style of training that has strength training at its core and accessorizes with bodybuilding “beach work,” as Bill Starr used to call it. This, in fact, is the basic idea behind my Bigger Leaner Stronger (for men) and Thinner Leaner Stronger (for women) programs. They’re basic strength training programs with additional work meant more for building a physique than building maximum power. Now, your training frequency will determine how to program your workouts. If you train 4 times per week, each mesocycle will last 4 weeks. If you train 3 times per week, they will last 5 weeks and 1 day (you’ll see why in a moment). And if you train 3 days per week, it takes 5 weeks and 1 day because you still have to do all 16 workouts to complete the mesocycle and you can’t double up exercises on a training day. As you can see, both the 4- and 3-day splits have you performing each of the workouts 4 times before restarting. You rest for 60 to 90 seconds in between each warm-up set. Your goal isn’t just to break your on-rep PRs–it’s to hit multiple PRs along the way by lifting more in each workout than your previous mesocycle. So, once you’ve completed a mesocycle, you should add 5 pounds to your one-rep max for your bench and overhead press and 10 pounds to your squat and deadlift and recalculate your training weights. Furthermore, if you feel you can get more reps on your final, hardest sets, Wendler recommends you go for it. If you get stuck or even lose strength on an exercise or exercises, finish your mesocycle and then reduce your current 1RMs by 10% and start again. You only need to do this on the exercise(s) you’re struggling with. Continue as usual on the others. How to choose your assistance exercises. In fact, Wendler’s recommendations are so similar to my list of “approved exercises” in Bigger Leaner Stronger that you can just use it as a guide. It has you do the core, heavy lifts and then 5 sets of 10 reps with the same exercise followed by another assistance exercise for 5 sets of 10 reps. In terms of how much weight you should use for the 10-rep sets, Wendler recommends that you start with light weights—40-50% of your 1RM—and gradually work up from there. How high you ultimately go is up to you, but I would recommend working up to using an amount of weight that allows for at least 8, but no more than 10 reps.
Wendler gives several other assistance routines as well as advice on how to program them properly in his book, aptly titled 5/3/1, which I highly recommend you read if you’re going to do his program. It’s a great read, you’ll learn more about the ins and outs of the system, and you’ll support his work. I used to think strength training was just for powerlifters. I was wrong–it’s for everyone. focus on high-rep, high-volume workouts and isolation exercises. What’s your take on strength training? Have anything else to share? Let me know in the comments below!